Why is My iPhone Charging Slow? The iPhone is one of the most revolutionary pieces of technology that is available to us today. However, it isn’t perfect. Like any electronic device the iPhone can work less efficiently over time. Due to normal wear and tear, an iPhone may start to run slower, freeze unexpectedly, and experience power issues. One common problem many users experience over time is slow charging time. On average, an iPhone shouldn’t take more than three hours to charge if you use the included wall adapter. This can vary depending on the cable you use, or if you choose to charge your phone using your computer’s USB port. Regardless of the method you use to charge your iPhone, you may notice that it takes a longer time to charge overall. 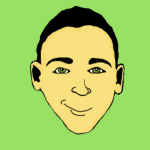 This could happen for a variety of reasons, and in some cases there is an easy fix. That being said, repairing a slow-charging battery may also require a more in-depth solution. 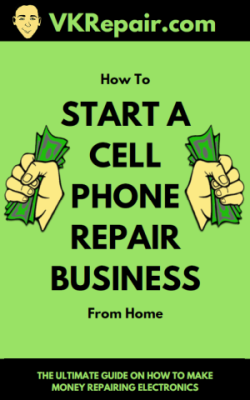 In most cases you’ll be able to repair the problem on your own, but if you can’t, you may want to take the phone to a technician so they can adequately assess exactly what is wrong with your battery or charging port. The most common reason for a slow charging iPhone isn’t a software issue, or even an issue with the battery itself. It’s actually more closely related to the charging port. Many of us have a tendency to keep our phones in our pockets. Over time, this can cause lint, dust and debris to get lodged into the charging port. Find a paperclip, needle or toothpick. Gently insert the small object into the charging port. Feel around for debris or other soft objects like lint. In a slow, careful scraping motion, try to dislodge the clog. Repeat until all debris has been removed from your charging port. Turn your phone back on, and connect it to the charger. You may be surprised to find how much dust or lint has collected in your charging port, but if you do find a good amount, you can be sure that this was the cause for your slow charging time. Another reason for your iPhone’s slow charge time could be the type of charger or cable you’re using. If possible, always try to use a certified Apple charger and cable. Cheaper chargers or replacement cables may not have the capacity to deliver the current necessary for faster charging. 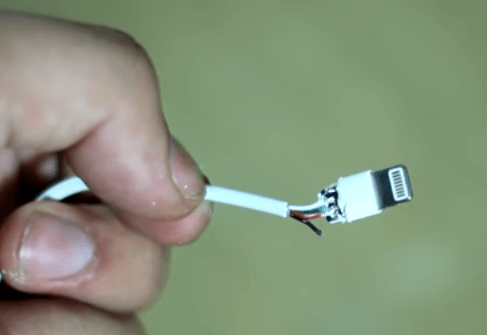 In some cases, replacement cables will not fully charge your iPhone or will only work once or twice before breaking or becoming damaged. If possible, order your replacement cables directly from the manufacturer. 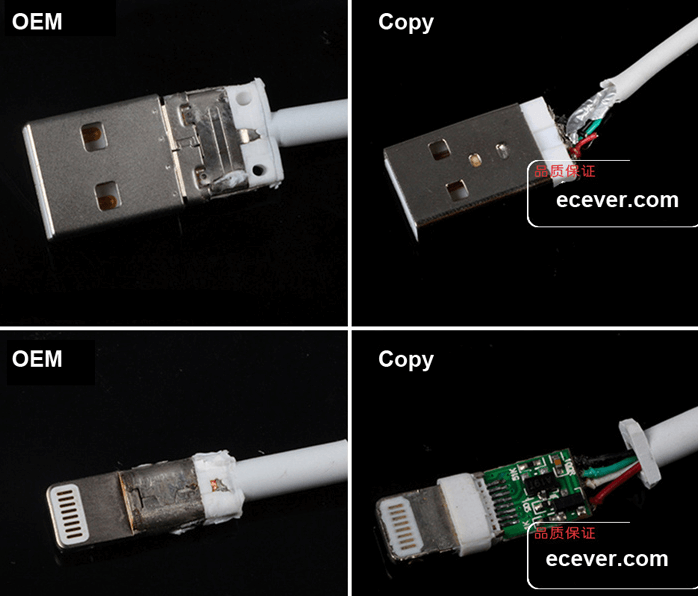 If you absolutely have to use a replacement cable that isn’t made by Apple, be sure to check to see if it is MFI certified. You may also want to turn your phone off while charging or close the apps that you aren’t using. By running extra processes you may cause the phone drain power even while it’s charging, causing a longer overall charge time. Lastly, as is the case with most lithium-polymer-powered devices, you won’t want to completely drain the battery. The iPhone’s batteries charges best when it is depleted to about 15-20 percent. So, when you’re phone battery starts to run low, be sure not to plug it in before it goes dead to ensure the battery’s longevity. If your iPhone still charges slow, you may want to consider having the battery replaced. Unfortunately, lithium-polymer batteries can become less efficient over time, especially if you don’t use them properly or let them complete discharge too frequently. This has been a known issue with iPhones. 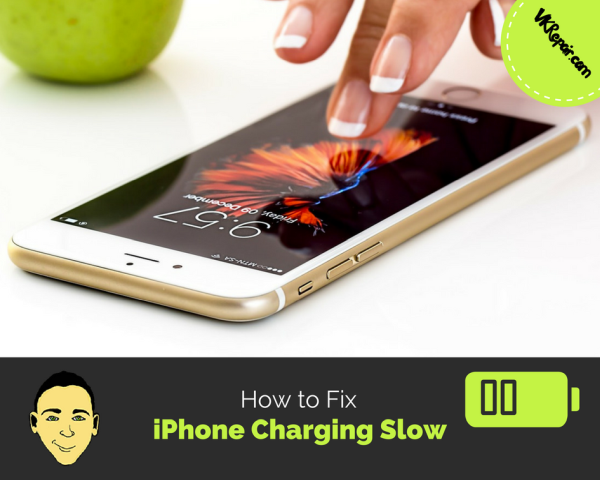 In many cases with the iPhone you may experience reduced overall battery life or slow charging times. If you’ve tried the above troubleshooting tips with no success, it might be time to replace your battery. Before you attempt to do so yourself, visit your local Apple Store. Since Apple got in trouble with throttling your iPhone due to battery issues, they may replace your battery for free!